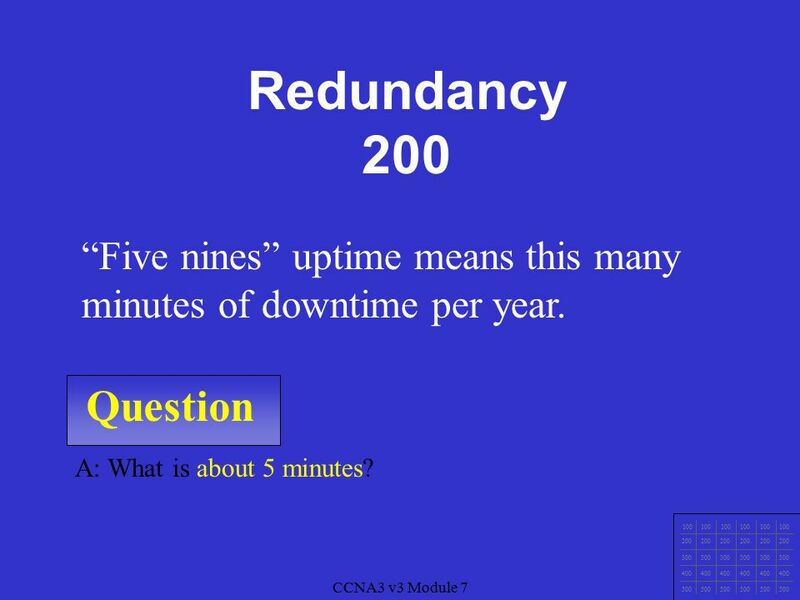 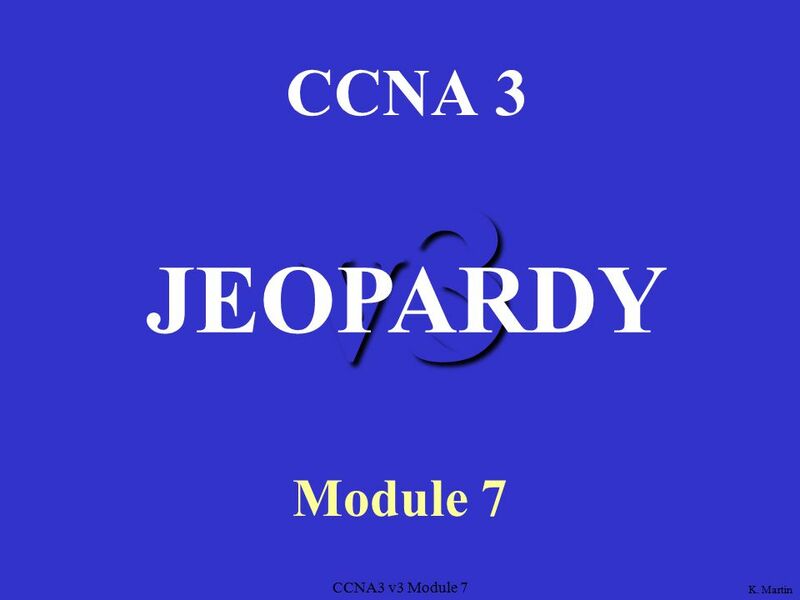 CCNA3 v3 Module 7 v3 CCNA 3 Module 7 JEOPARDY K. Martin. 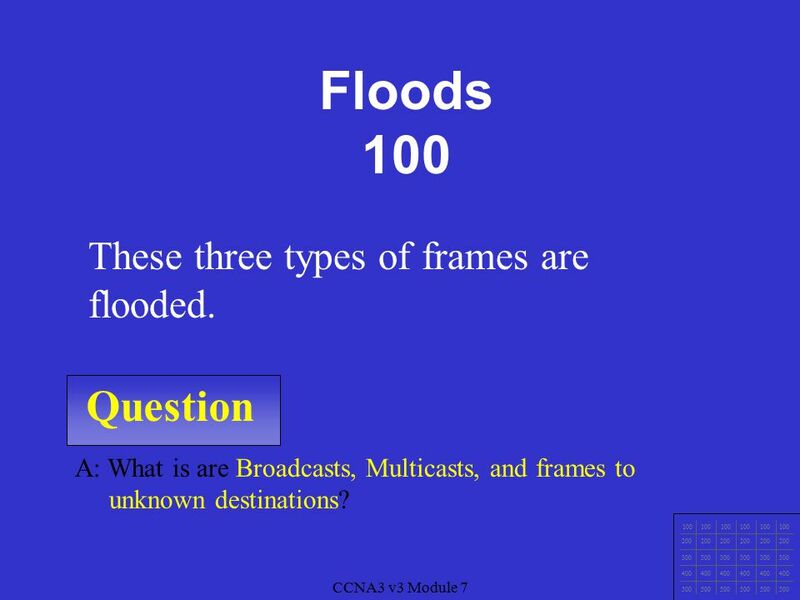 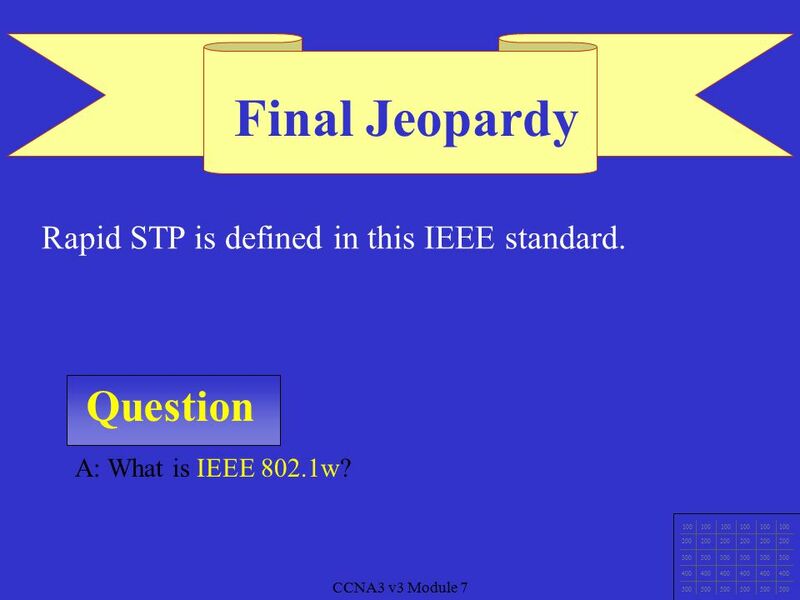 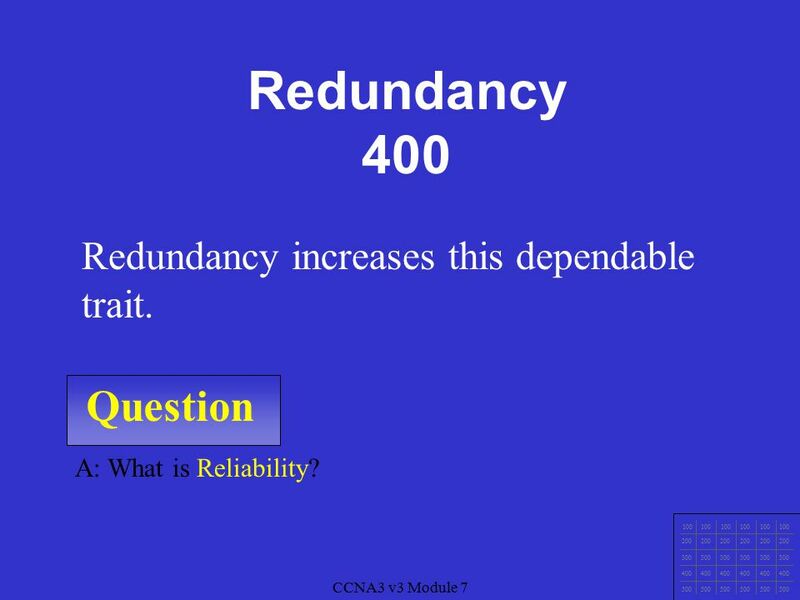 Download ppt "CCNA3 v3 Module 7 v3 CCNA 3 Module 7 JEOPARDY K. 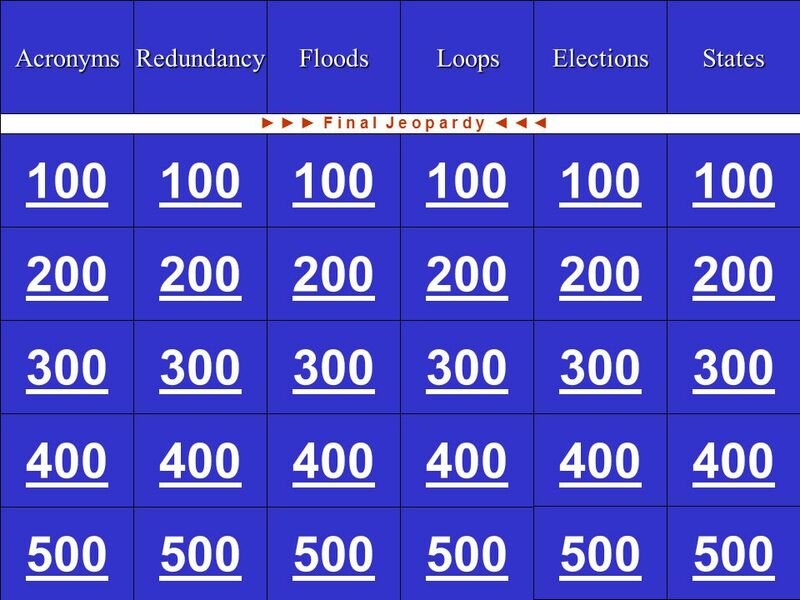 Martin." Connecting LANs: Section Figure 15.1 Five categories of connecting devices. Cisco 3 - Switch Perrine. J Page 15/8/2015 Chapter 8 What happens to the member ports of a VLAN when the VLAN is deleted? 1.They become inactive. 2.They. STP Spanning tree protocol. Trunk port : A trunk port is a port that is assigned to carry traffic for all the VLANs that are accessible by a specific. Spanning Tree Protocol STP STP A broadcast storm occurs when there are so many broadcast frames caught in a Layer 2 loop that all available. Internetworking Different networks –Different bit rates –Frame lengths –Protocols. 1 Version 3 Module 8 Ethernet Switching. 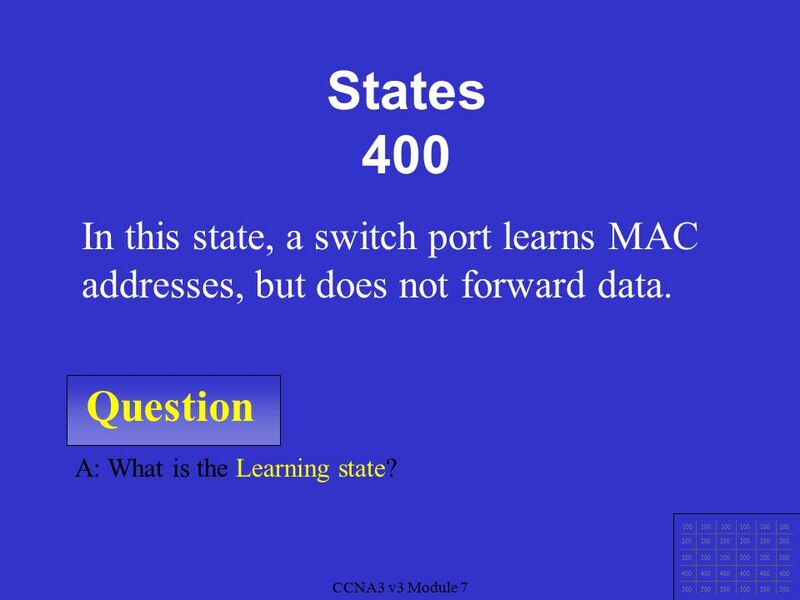 2 Version 3 Ethernet Switching Ethernet is a shared media –One node can transmit data at a time More nodes increases. CCNA 1 v3.1 Module 8 Review. Ch. 7 – Spanning Tree Protocol CCNA 3 version 3.0. 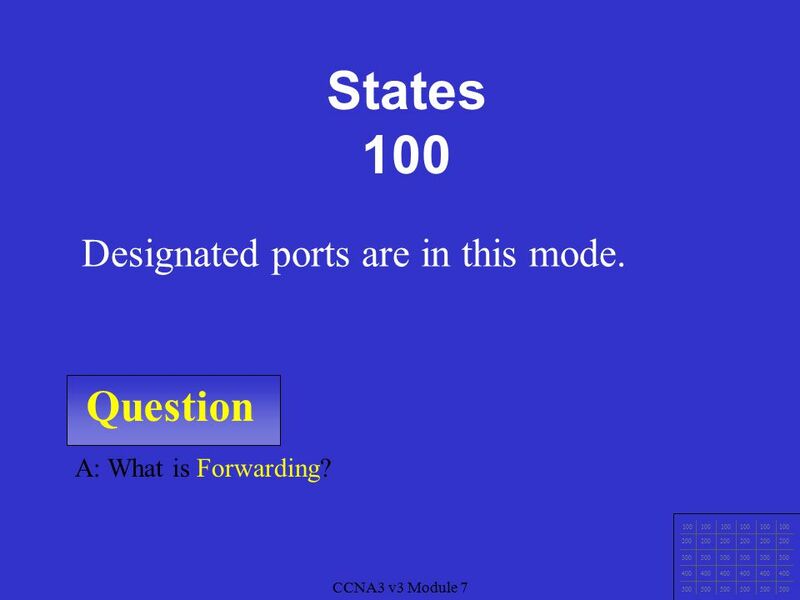 LOGO Local Area Network (LAN) Layer 2 Switching and Virtual LANs (VLANs) Local Area Network (LAN) Layer 2 Switching and Virtual LANs (VLANs) Chapter 6. Layer 2 Switch  Layer 2 Switching is hardware based.  Uses the host's Media Access Control (MAC) address.  Uses Application Specific Integrated Circuits. Layer 2 Switching. Overview Introduction Spanning Tree Protocol Spanning Tree Terms Spanning Tree Operations LAN Switch Types Configuring Switches. 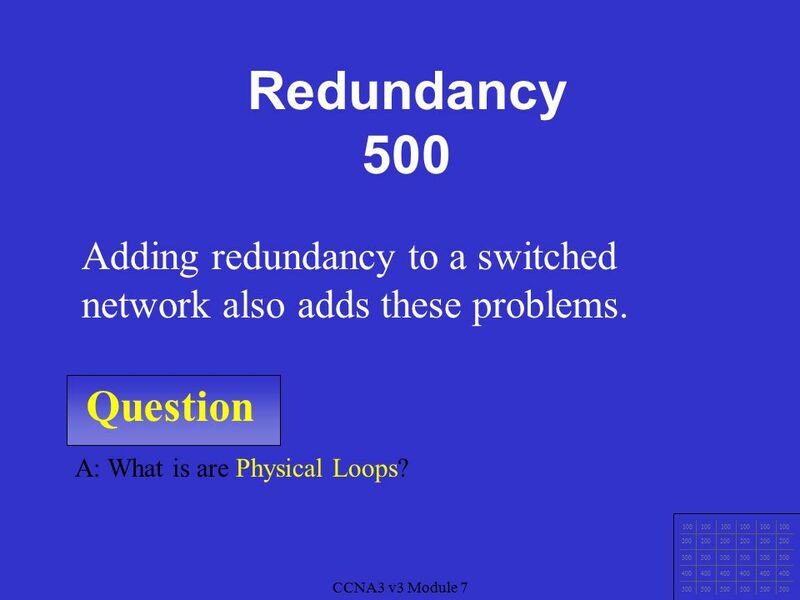 © 2008 Cisco Systems, Inc. All rights reserved.Cisco ConfidentialPresentation_ID 1 Chapter 2: LAN Redundancy Scaling Networks.